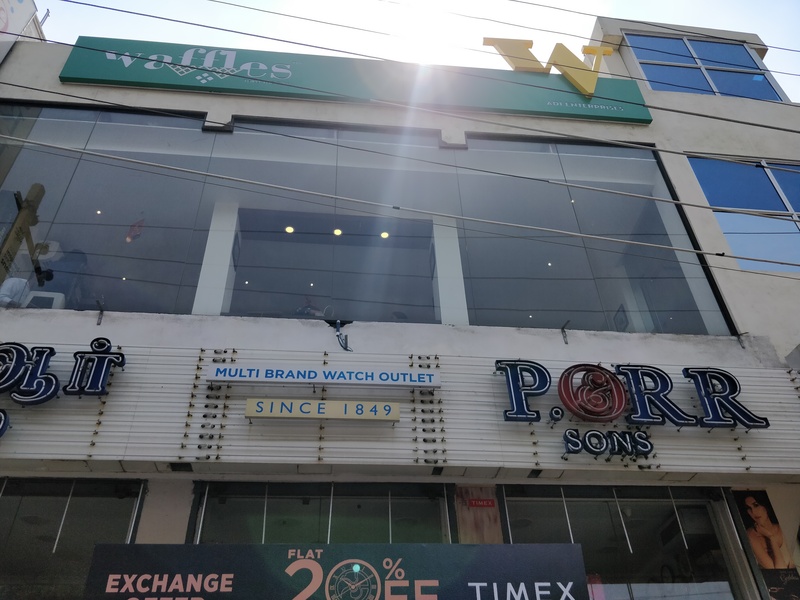 This one is a newly opened place, right opposite to Ramachandra hospital, quite a small place located in 2nd floor. 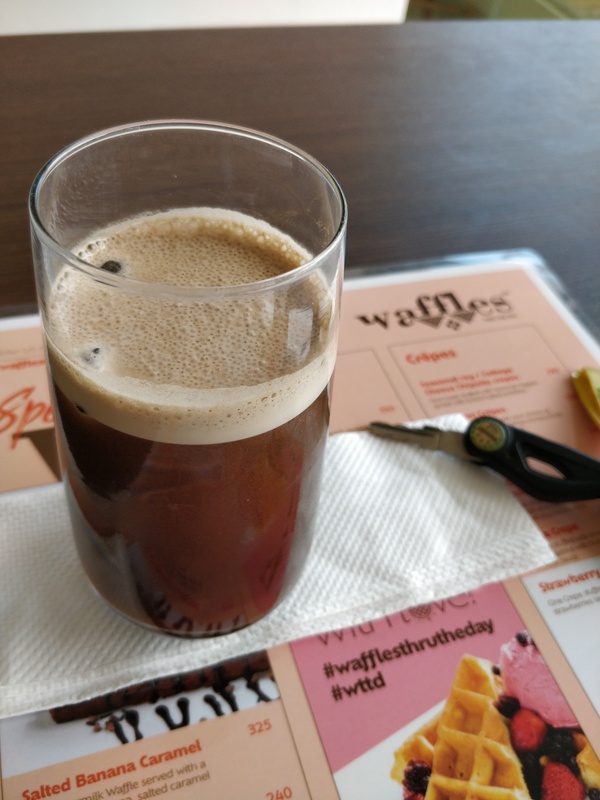 They have launched a new break fast menu which can give you a pleasant feel with their aromatic waffles and nitrogen infused coffee. If your a coffee lover do try it. They have soaked coffee been over the night and they used nitrogen gas to cool it down it was awesome. 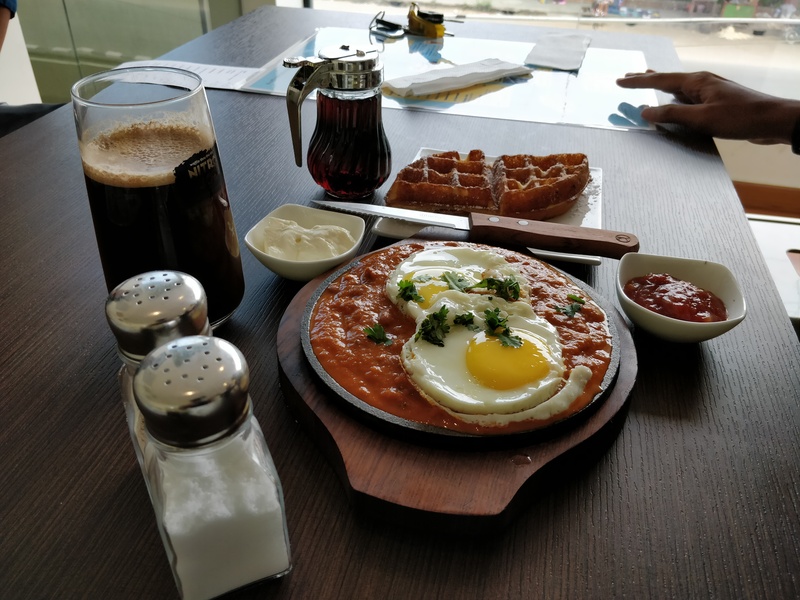 Waffles can make anyone’s tummy to feel happy, been a light food it was excellent, I went with heuvos rancheros a Mexican dish which is been served with rajma and eggs and two waffles. They serves it with the cream cheese it gave a bliss feel the moment I had it. 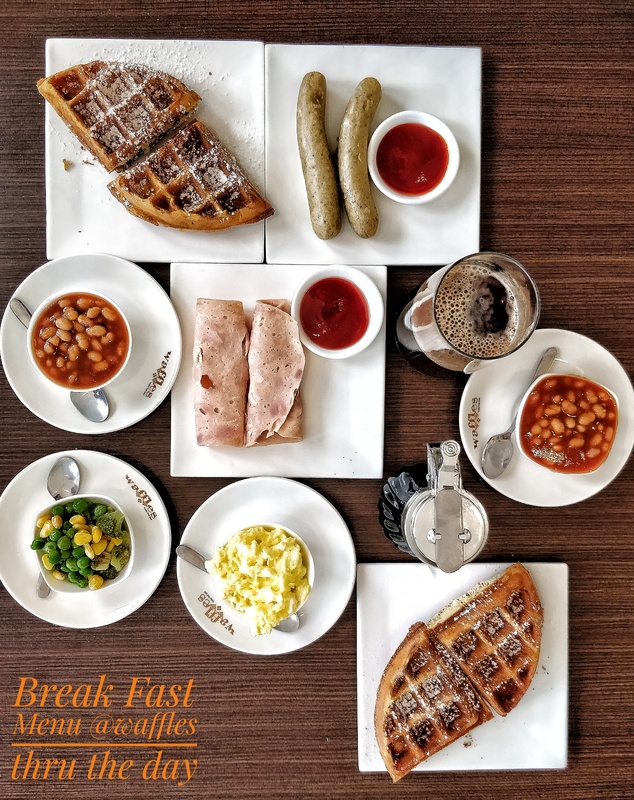 Even you can personalize your own break fast kindly ask them the menu u can customise the break fast with veggies, scramble egg, waffles , chicken salami, pork etc choose your own dish.